Sara Scruton is a Toronto-based D.J and a graduate of the Harris Institute for the Arts where she studied music business and sound engineering. Sara started djing at the age of 17. Over The past two decades of Djing has led her to a style all her own: pitched down, cut and paste minimal tech-house with a Nu-Jazz influence. 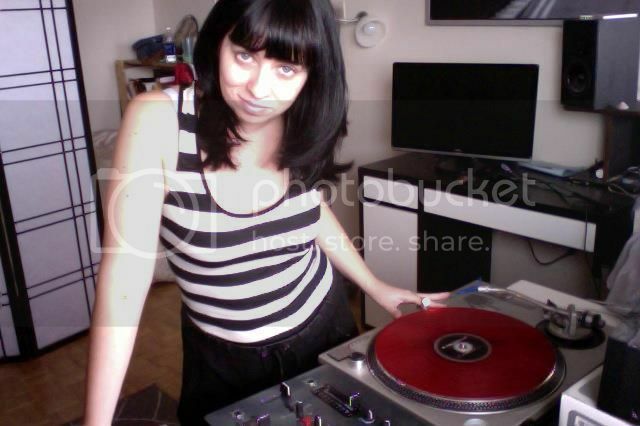 Sara has traveled through out Ontario, Michigan, the mid west and parts of Europe spreading her unique style of djing. Sara’s strong passion for electronic music partnered with her education and many years of experience has led her to many projects including; hosting an internet radio show for the past 13 years, currently on dogglounge.com. Writer for kickmagazine.ca, along with dj management, bookings and promotions; Kick, Emperor Norton Records, Chicks Dig it, Women and Techno, 7th City Recordings and Low Spirit and Converge Bookings. Sara is currently studying Alto Saxophone and Abelton Live.